This chapter covers the CCIE IOS Specifics blueprint. Unfortunately, the blueprint does not detail the exact requirements, and IOS in general could mean the entire range of topics. We cover topics that are actually possible topics in the written exam and common to the Routing and Switching blueprint. • Cisco Hardware—This section covers the hardware components on a Cisco router, namely the System Flash, nonvolatile RAM (NVRAM), and how files are saved to and from a TFTP server. • show and debug Commands—This section covers the most common show and debug commands used on Cisco routers to manage an IP network. • Password Recovery—This section covers how password recovery is completed on Cisco IOS routers. 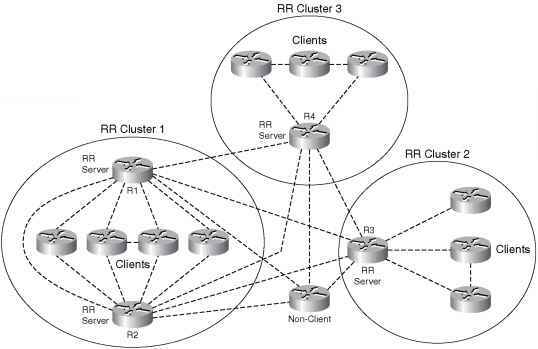 • Basic Security on Cisco Routers—This section reviews some commands used to ensure that Cisco routers are secured with basic passwords. • IP Access Lists— This section covers both standard and extended IP access lists and their formats.